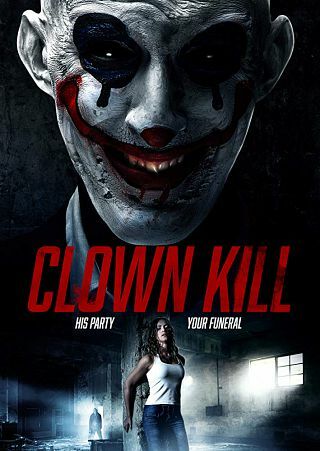 Plot: Jenny, an ambitious, feisty but very successful advertising executive has her drink spiked at a fancy dress party, leading to a brutal sexual assault in the pub toilets by a mysterious figure dressed as a clown. Slowly she rebuilds her life, and as she regains confidence in herself, she returns to work after a six month absence. She soon becomes bogged down with work and when her bullying boss gives her a huge, last minute advertising account with a Saudi-backed circus company, the pressure begins to mount. Forced to work alone throughout the night in the huge office block, it soon becomes apparent she is not alone. Stalking the empty corridors is a familiar, unwanted figure, and Jenny soon discovers she is locked in with Charlie Boy the psychotic clown, driven by a blood lust and an obsession with torment and murder. Blending suspense, horror and dead-pan humor, the film weaves a twisting tale that takes the viewer in a direction they never intended, without ever insulting their ..